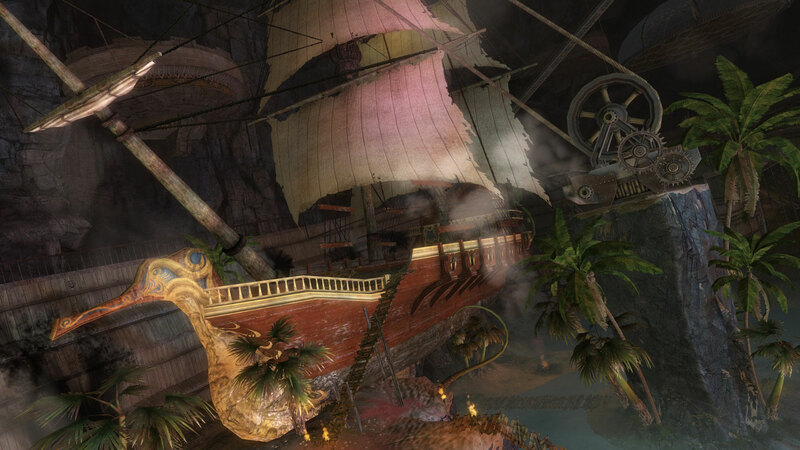 Emissaries and citizens are gathered in Divinity’s Reach, but someone else has plans for the Queen’s speech! NOTE: At the beginning of this release, the Crown Pavilion will become temporarily unavailable. Upon completing the storyline for this release, you will be able to access the Pavilion for the rest of this release period, along with all the features and achievements contained within. Upon entering the game, you will receive an invitation in the mail for the Closing Ceremony of the Queen’s Jubilee. The next time you attempt to enter the Crown Pavilion, you will automatically be redirected to this new instance. After completing the events of the Closing Ceremony, you will be tasked with constructing a portal device to regain entry to the Crown Pavilion (more on this a little later). During the course of this release, areas all over Tyria (except for Orr) will be attacked by a new army of twisted mechanical horrors. Which area is affected will be visible in the Living World UI, so keep an eye on your event panel! When you arrive in the besieged map, you will notice events have popped up all over the map, signifying portals that have opened up that are allowing the clockwork creatures to move about freely. 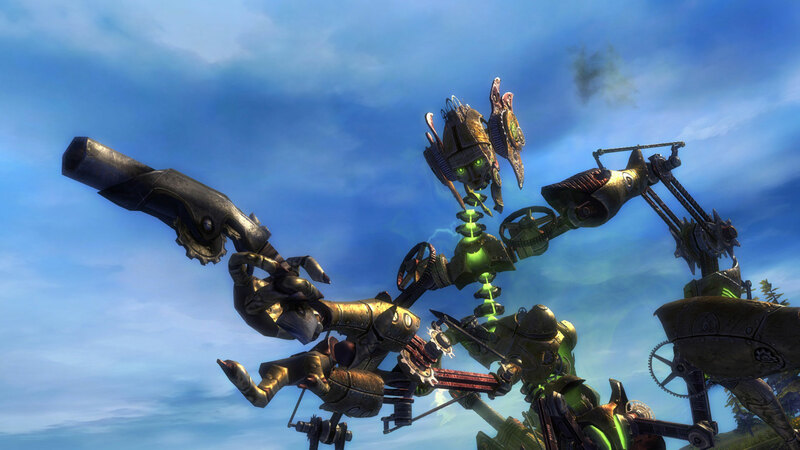 From the beginning of the invasion, you will have 45 minutes to destroy as many clockwork creatures as possible. If you manage to defeat all three waves and drive back any other invading forces, the mastermind behind the invasions will appear to challenge you! Destroying clockwork creatures near a portal will weaken the portal until it closes. The clockwork creatures come in three waves. The current wave and the strength remaining will display in the meta-event UI that will display to the entire map. Defeating clockwork creatures anywhere on the map will deplete the current wave. The clockwork army doesn’t fight alone. When the first or second wave of the invasion is broken, another army from previous Living World releases will appear as reinforcements. These enemies will have separate events with unique icons, and the strength of their army is tracked separately from the current clockwork wave. You will need to defeat all of them to force the main villain out of hiding! Upon completing all three waves of clockworks and defeating both reinforcement armies, a final boss will appear. Defeating them will complete the event and grant rewards to everyone on the map. If you run out of time (remember, you only have 45 minutes to complete the event! ), you won’t walk away empty-handed. The event will complete at the end of the time limit, and award all participating players based on the number of waves and armies defeated. The more objectives you complete, the greater the reward. In order to complete the portal you’ve been tasked with constructing, you will need to travel to a few of these invasion sites and collect information and materials for assembling the device. After some initial investigation near Ascalon Settlement in Gendarran Fields (keep an eye out for our golden star Living World markers), you will be directed to seek out and destroy several invasion portals. In order to complete these steps, you only need to participate in at least one portal event, you do not need to complete the entire portal invasion as outlined above. 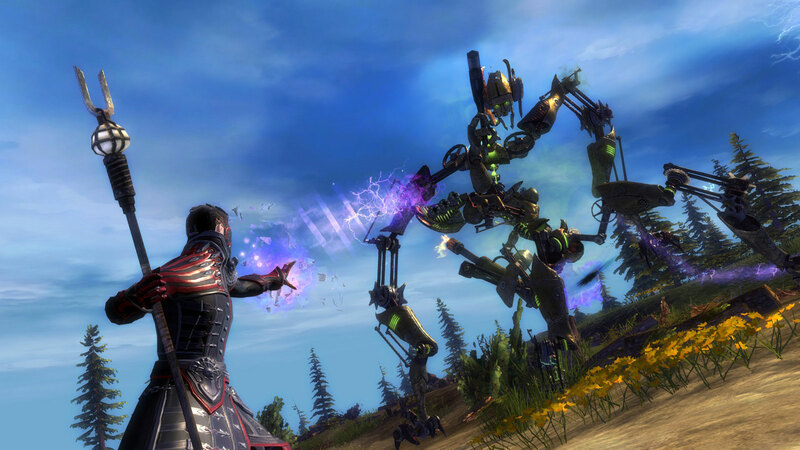 After completing the portal device, return to Divinity’s Reach to activate the portal into the Crown Pavilion. Enter the portal to begin the final instance of the Clockwork Chaos story. You can complete this instance by yourself, or with a full group. Only one person in the party needs to have completed the portal device in order to enter. Upon finishing the instance, all players that participated will be able to enter the Crown Pavilion normally (even if they never finished the portal device themselves). You’re also free to complete the device or re-do the final instance at any time until the end of the release. Participating in the portal invasion events or the final story instance will award Watchwork Shoulder Scraps. After collecting 250 of these scraps, you can combine them to make a brand new Watchwork Shoulder skin. At the end of a portal invasion, you can opt to accept treasure boxes instead of Shoulder Scraps. These boxes contain karma and gear of Masterwork or higher quality. They also have a small chance to contain a complete Watchwork Shoulder skin! By completing the meta achievement for the Clockwork Chaos release, you will be awarded an Infinite Watchknight Tonic. This transformation can only be used once every 30 minutes, but it does not lock your skills, which means you can fight while transformed! As a rare drop during this release, you may find a Twisted Watchwork Portal Device or a recipe to create your own. These devices are highly unstable, and should be used with caution. There’s no way to know where one will take you! Clockwork Chaos will have a new achievement category complete with meta achievement. Like the Jubilee, this meta can be obtained using a combination of permanent achievements and special Living World daily achievements. In addition, the Queen’s Jubilee and Queen’s Gauntlet achievement categories will remain available for the duration of this release. Please note that although you can still earn these achievements, the Crown Pavilion will not be accessible until you have finished the final story instance for Clockwork Chaos. Finally, a fourth category labeled “Emissary Vorpp’s Field Assistant” will also display in the Living World achievement category. This category is intended to guide you through creating the portal device to access the final story instance. It awards achievement points, but does not contain any unique rewards.